You are viewing comment page 5 of the post. View the post contents here. I did everything as described to enable the upmix. It simply does not work. It used to work perfectly with my 5.1, but then suddenly it won’t upmix anymore. I even reinstalled Windows 7 – still not working! Tried all driver versions. Still not working. Tried my Teufel system on my buddies PC, who also has the XONAR DG – not working! So upmix for me is definately broken. Don’t think stereo upmix disables itself as time goes by, I myself am using stereo upmix to “power” my headphones at the same time as the speakers and it does not turn off. I think its because of some option that you enable at some point, and that disables stereo upmix. Stereo-upmix switch app might help you turn on stereo-upmix in the drivers, thats if you’ve disabled the option that caused the issue in the first place. A similar issue is presented in the Known issues section of the driver release log. Tried the steroe-upmix switcher app. Didn’t change a thing. I definately did not mess with the settings. Reinstalled windows – problem is still there. Music just won’t play on the other speakers and subwoofer is also dead. It doesn’t matter if I set it to 2,4,6,8 channels. If you switch to 6 channels / 5.1 speakers, and then test the individual speakers in the Asus/Cmedia Panel and also in Windows Speaker Setup, does every speaker respond ? Are you using ASIO as output? As stereo upmix won’t work with ASIO playback output. Which are the applications that you’ve tried ? I have an Auzentech X-Meridian 7.1 2G, cannot get past driver installation as it tells me to plug in a Xonar device, although it is to my understanding that C-Media chips are supported? Drivers work with X-Meridian 7.1 2G, the installer is customized for Xonar cards and thus the message from the error. Sometimes there are problems with the driver installer. Try following the installation methods from this topic. Try first with Possible solution 2. If you still can’t install you can try and enable Test Mode. Let me know if you manage to install the drivers or not. With the UNi Xonar drivers i can’t do both. Is there any solution for this? Try installing the original drivers and see if it still works. My guess is that it won’t work, and that the issue is actually a configuration issue. I don’t have SPDIF receiver so can’t really be sure that it works for me, but I have setup up my configuration like yours and at least in Playback devices , both Speakers and Digital Out Volume Meter bars light up. Make sure you have “DS : Digital Out (Asus..)” as output in foobar preferences and not WASAPI or ASIO. BTW your issue sound similiar to this one. I tryed DS gigital out with the UNi driver, still dont work. I reinstalled the original drivers and all things worked fine, with wasapi or asio out too. I set the following things after reinstalling the driver: Audio chanel 2, sample rate 96khz, analog out headphone, spidf out pcm; then i go to the playback devices, i set the speakers for default. Then if you wish you can try previous UNi Xonar drivers(1.70, 1.64, 1,62) as it might be a bug in the audio drivers used in the 1.71 release. i use my pc 70% for games, so how do you suggest to set up the installation? If your OS is Win XP then leave it off. If your OS is Win Vista/7/8 and use analog (jacks) connection you can leave it checked. Now i have set 6 channels and output 5.1 , does it mean that if i reenable upmix then i will have 2 channels and not anymore 6? You don’t need stereo upmix to be enabled. The option in the installer lets you be able to enable stereo upmix on Win7. Just set 6 channels and output to 5.1 and you are fine regardless if “re-enable stereo upmix” was checked or not in the installer. It has nothing to do with the drivers. Since the ST/STX cards have only 1 analog output you can’t connect 5.1 speaker configurations through analog, only if you purchase a Xonar H6 Addon, or if you use S/PDIF connection instead. Next time, please consult the spec sheet and manual of the card you bought and use google before posting in a unrelated topic. 1-I clean my previous drivers using the guide posted here. 2- Proceed to install the drivers, when the setup tells me that is is “Installing the drivers. the process should not take longer than 60 seconds” it opens another little window where it is saying ” Installing UNI Xonar Audio Driver…” the fills up very slowly and takes more than 60 seconds, more like 10 minutes. After the bar fills up completely, it just stays there and nothing happens. After some more time it tells me: “Please Plug In UNI Xonar Audio Device” but it is weird because i had the official drivers before. In your case you might want to have a look at this page. I recently bought the Startech PCI-to-PCI Express adapter and I have run into a few issues. The difference is mainly the interface and the ST does not have the PCI-E to PCI Bridge Chip PEX 8112 that the STX does. Now I have installed the startech adapter and the sound card, and it was detected correctly, I installed Uni Drivers and the device installs the drivers correctly, and will test correctly (to a point) but the moment I start playback the device stops responding completely, it refuses to test aswell thereafter. Sometimes it even stops during testing. – I even attempted the STX version of the Uni drivers, and it successfuly installs and works but same issue. – I put the soundcard into another pc (without the adapter) using the Uni drivers and it works perfectly with any player and any output method. – I then tested the soundcard in that other pc with the startech adapter and the same issue occurs, it tests fine to a point and disappears after attempting playback. I just want to clarify its easy to test if the soundcard is responding because it has very loud relays, and if I change an input or output setting you can hear it click, and it stops doing this after playback fails, the device itself is still visible to the PC and still shows as functioning in device manager, but any attempt to test or play anything stalls and fails. I suspect the issue is somewhere in the default PCI-to-PCI drivers in windows or the Asus drivers, Unfortunately I couldn’t test in linux. But after doing a lot of looking it looks like it exists there with different devices too. So I definitely think the drivers are blocking the device or something to that effect. Note I contacted Startech but I will assume they are useless. Sorry I can’t be of help to you in this issue. One thing you may want to consider is that maybe the adapter is faulty. I’m definitely working on it, Just got a response from StarTech. Since this may become a more common setup with PCI being phased out, II will keep you updated. A big fat thank you for all the effort you have put into this. Any success?? am having same issue you have since 2 weeks without any solution. please let me know if you solved it or not? Please let me know if you figure anything out with the StarTech adapter. I am using the adapter as well and having the exact same problem as you. IRQ assigned to both parts and playback stops at random. I can get it to play for 45 seconds sometimes and then other times it will stop within 10 seconds. There is an “Audio re-starter .bat file ” linked on this site under other apps: here is a direct link – http://www.mediafire.com/?js0bnx4u93m5rrj – but if you run it after the sounds cuts out you can get sound again for another 30 seconds or so. You can repeat this about 3 or 4 times until it finally stops working and you need a restart to get playback again. I am located in San Diego and I have actually driven past the StarTech store, I believe its in El Cajon, CA. What advice have they given you? I wonder if I brought them the ST card and the bridge if they could do anything to troubleshoot or update/change the bridge driver. Just a thought. Hi, no no solution yet. I have spoken with star tech, but i haven’t yet tested the adapter with another PCI card (because i didn’t have one) I now have an old NIC card I’m going to test, but time has been issue. This is to eliminate the adapter being faulty, and this is where I left off with StarTech support. I gave them a lot of information, but I couldn’t determine what the PCI error (1 non-fatal it think) it was that PCIScope kept picking up was. Hey WiR3D have you got any where with this? I have the same exact problem and also have the startech bridge. Did you find any type of work around or solution or did you give up on it and get something else? I will try to contact WiR3D by e-mail for you and let him know of your comments as he might not be subscribed to receive new comment notifications. Hi, I am trying to install the latest UNi drivers for a brand new Xonar DGX. The install takes a long time then says “Please plug in UNi Xonar Audio Device. I checked this page and noticed someone else had the same problem. I checked the EEPROM, but it is working as intended. I also turned on test mode and clicked the check box to bypass digital signatures in the installer. I am still having the same problem, and the other person here didn’t come back and say if they got theirs fixed. Also, I forgot to say that between each installation try I fully cleaned the drivers as to not have any conflicts that way. Try the possible solutions 1 & 2 from this page. Do original drivers work? If they do not work, and neither uni xonar after trying the solutions from the link above then it might be a hardware defect. Thanks for the reply, I will attempt these when I get off work and report back to you. Regardless of if this works for me or not I wanted to say thanks for taking the reins where Asus failed to, it’s much appreciated. Alright I got them installed and working. What I had to do was run the driversweep batch file and then driver sweeper and install the UNi drivers in safe mode. The first method on that page didn’t work, but thankfully the second did. So for anyone having similar problems try making sure you clean all the driver files and then install it in safe mode. What does the “Hi-Fi” button do in ASUS Audio Center and should I keep it disabled? Temporary disables all enabled sound effects and so on. Yes keep it disabled. Detailed explanation in the Xonar manual. Is this good to use ASIO4ALL or something else for better sound quality? Best quality would be with ASIO thats delivered with the drivers. Why 24 bit instead of 16? There is a bunch of topics and information about this on the Internet, here is one. win 7 64 installed latest UNI Xonar drivers but it kind of messed up the sound. I want to revert back to ASUS drivers Now but I cannot uninstall the UNI drivers. I am not sure why you can’t install the Uni Xonar drivers, what’s happening when you try to uninstall them in Programs and Features? UNi Xonar drivers giving messed up sound isn’t normal behavior. Try using system restore to revert your system prior to installing UNi Xonar drivers if you are having problems uninstalling the drivers. Recently, using other hardware and software (Galaxy S phone with Voodoo Sound hack), a developer wrote that the best solution is to set digitial amplification (software) to its maximum and use analog gain in DAC to achieve desired volume while listening to the content, in order to get the best SNR and other advantages. On the fly I thought about how to do that with the Xonar, given that analog gain isn’t adjustable as a regular volume level and I’m actually using software (Foobar) digital amplification when listening to music. I went through several boards and somebody said that with ASIO v1 you can adjust analogue gain, but you can’t with ASIO v2 wich provides always 100% gain, wich is what I have in my system with the ASUS drivers. I’m guessing, therefore, that Foobar is messing with the audio thread when I adjust volume, and ideal things would be to have Foobar at 100% volume and adjust only analog gain in the ASIO control. Question is, does you driver provide analog gain control as it was volume level? I read that your driver comes with ASIO v2. Excuse me if I’m not explaining myself correctly, its a confusing matter for me. This driver will work just as the Asus drivers in this regard. I think you misunderstood the tip. 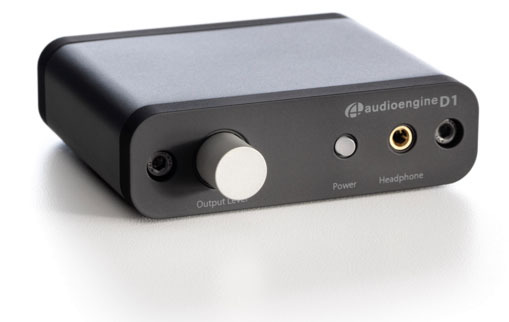 I think whoever wrote the part with the analog gain in DAC was referring to the fact that you should control the volume by DAC’s(standalone) volume knob. You don’t have this on the internal audio cards (which yes they do have a DAC), for them you control the volume in Windows volume and in the audio application and thats it, there are no other volume options or a special analog gain. I lack technical knowledge so I don’t know the hows, sorry… but this app controls analogue gain via phone’s DAC (a Wolfson WM8994 chip) while everything software-related (player, mixer volume) stays at 100%, from -57db to +5db, Maybe this chip it’s not only DAC but also headphone amplifier? Anyway, I’m wondering how the Xonar hadles the gain: It has 3 or 4 settings for the headphones. Wouldn’t be possible to adjust the gain from x to y pogressively like the phone?